Is your heater or air conditioner broken and isn’t working? Do you have a leaking faucet that keeps getting worse? Rite Rate Heating & Cooling is a licensed professional plumbing, heating, and air conditioning company in Hillside, NJ! We offer installations, repairs, maintenance, and replacements. With our team of expert contractors and plumbers, you can be assured of quality services at affordable rates. From installation of a new shower to heating repair, we do it all! You can count on us 24/7 if you have an emergency with your plumbing or HVAC system and we’ll fix the problem in no time. Having leaky pipes might not seem like the worst of problems but they can prove to be really irritating and quite frankly a waste of water. At Rite Rate, we make sure to find the root of the problem and quickly fix it. We provide everything from repairing leaks to unclogging pipes. You can even count on us for sump pump services, flood assistance, and drain and sewer cleaning! Our plumbers will also install any plumbing fixture such as showers, bathtubs, sinks, faucets, toilets, and more! Your kitchen, bathroom, and basement plumbing are in good hands with Rite Rate. Having no heat or hot water on a cold wintery night can be a really bad experience. 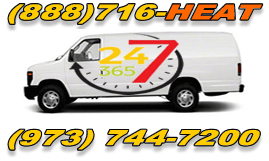 With our 24hr emergency heating repair in Hillside, NJ, Rite Rate will fix whatever is ailing your heating system. Our heating company is comprised of fully licensed and insured technicians that are experts on all residential and commercial heating systems. Whether you need furnace repair, heat pump replacement, or installation of a new boiler, we’ve got you covered! Our skilled HVAC contractors will get the job done right the first time! You’ll never have to search for another heating company in Hillside, NJ again! If you turn on your air conditioning and it isn’t working or the air flow isn’t cold, don’t wait to call us! Rite Rate is a 24-hour air conditioning company in Hillside, NJ! We’re on standby to help with any air conditioner emergency you may have. Our air conditioning services provide a solution that will considerably improve your system's lifespan and efficiency. Our technicians can fix anything from air handlers to heat pumps. We’ll also install and offer maintenance on any make or model of air conditioners in your home or business! Call our air conditioning company today for a free quote!